The first contact with Sişecam, a prestigious glass manufacturer and one of the most established industrial companies in Turkey, goes back to 1997. 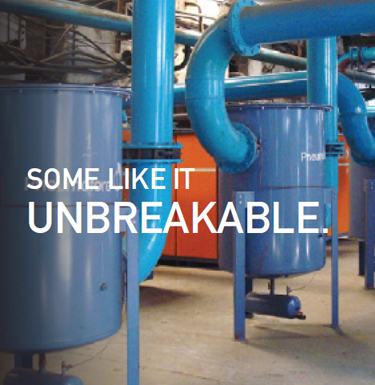 The air cooled, ready-to-use UV Series vacuum pumps were first installed in the Russian plants of the Sişecam group. 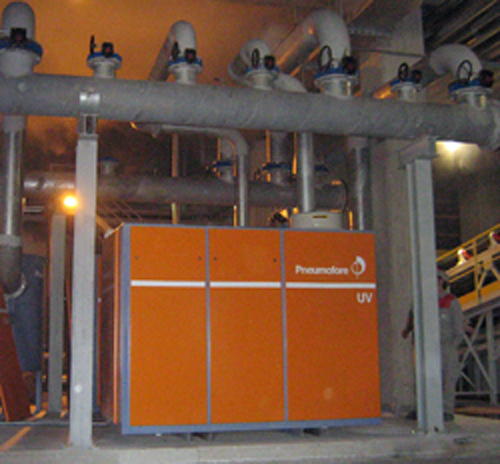 Since 2008 plants in Turkey have also been supplied with Pneumofore UV Series pumps. Yenişehir is located near Istanbul and is the oldest Sişecam hollow glass factory. 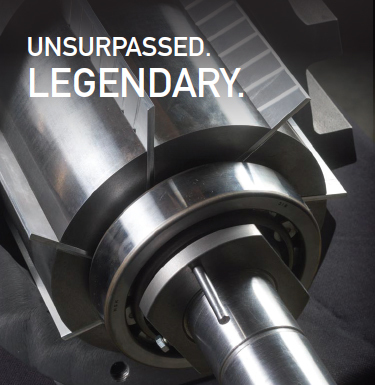 Before the introduction of the Pneumofore Rotary Vane machines, vacuum was generated by liquid ring pumps. A reliable, durable but costly solution in terms of power consumption. 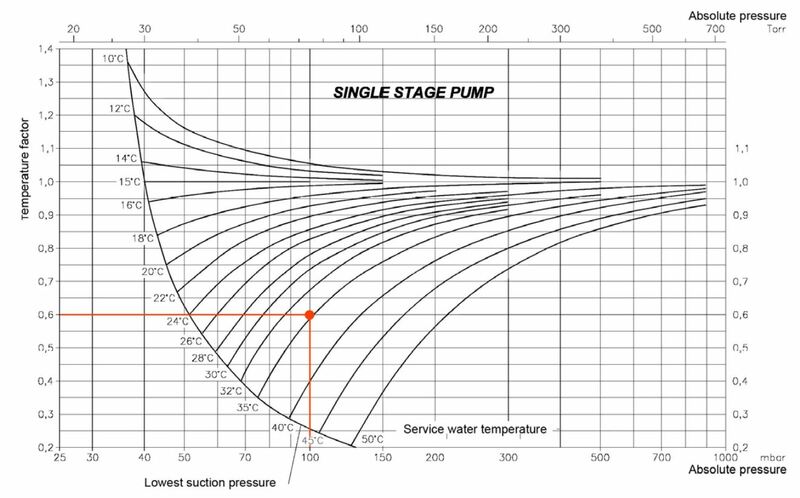 The considerably high temperature of the cooling water used for the liquid ring pumps made their efficiency quite low, as proven by the table below showing the “Temperature Factor” versus “Absolute Pressure” curves at different service liquid temperatures. As an example: a liquid ring vacuum pump with cooling water of 35° C at 100 mbar(a) reduces its capacity by more than 40%, thus a nominal capacity of 3.000 m3/h at 15° C becomes less than 1.800 m3/h using water of 35° C. To resolve the issues related to this physical phenomena, several other technologies were tested in this plant near the Sişecam headquarters. Conversely, in Russian glassworks the cooling water is exposed to the opposite risk of freezing. 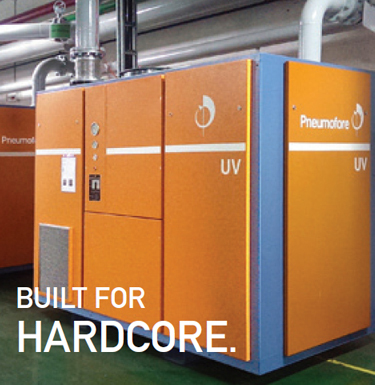 The solution was the introduction of Pneumofore air-cooled vacuum pumps from the UV Series. 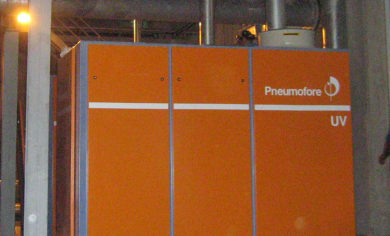 Pneumofore’s first delivery to Sişecam in Russia was in 2002 with a UV30 vacuum pump installed at the Gorokhovets plant. Today, there are twenty UV vacuum pumps operating in the Sişecam plants in Russia. Following the positive performance of the UV Series in Russia, in 2008 Sişecam engineers in Yenishir welcomed the installation of four UV50 units as their main vacuum source, keeping the old water-cooled pumps as a stand-by units only. The design criteria of the UV vacuum pumps are: trouble-free operation, constant performance, low maintenance needs and OEM independence. All such values have been tested and confirmed in the Russian glassworks. Moreover, the presence of Pneumofore technicians during the machines’ start-up aims to train the customer’s production and maintenance personnel on the operation of the UV series pumps and to explain how to execute maintenance by themselves with regular service schedule. This approach generates a clear understanding of the machines, thus also the high autonomy of the machine operators. The customer expressed full satisfaction and, over the years, the valued collaboration of Pneumofore with Sişecam has been further reinforced with more vacuum installations in Turkey, as seen in Russia.